Constantinos Philippou is quickly emerging as the dark horse in the UFC’s middleweight division. Since the Cypriot’s first loss in the Octagon, he has grown leaps and bounds as a fighter, embarking on a four-fight win streak over the likes of Jorge Rivera, Court McGee, and Riki Fukuda. As Philippou readies for battle, he’s discovered that the bright lights are on him this time as he fights on the main card against Nick Ring at UFC 154: St. Pierre vs. Condit. Although those bright lights are on and it’d be easy to stare into a future of title contention, Philippou isn’t being blinded. He has ate, slept and breathed this fight well before he even arrived in Montreal. “I feel that things are moving towards the right direction and I feel that if I keep winning that everything else will come,” Philippou told MMAWeekly Radio. “But right now, talking about a title shot doesn’t even cross my mind. To be honest, I don’t even care. Right now, I’m saying Nick Ring. I wake up and I’m thinking Nick Ring. I go to sleep and I’m thinking Nick Ring. Now, winning this fight would definitely put me on the map and I’ll officially be a contender. Although Philippou would be the first one to tell you he’s ready to make the jump to fight a contender, his full focus remains on making a lasting impression against Nick Ring at UFC 154. And the Serra-Llongo Fight Team protégé makes it no secret that he intends to box with his Canadian opponent en route to victory. “There’s no secret to what I’m going to do or what I usually do; I’m going to go in and strike with the guy. I see Nick Ring as more of a jiu-jitsu practitioner. I know that he chooses to strike most of his fights, but from what they told me, he’s a brown belt in jiu-jitsu and a very good jiu-jitsu practitioner. At the end of the day, the importance of this fight against Ring weighs heavily on Philippou’s mind. 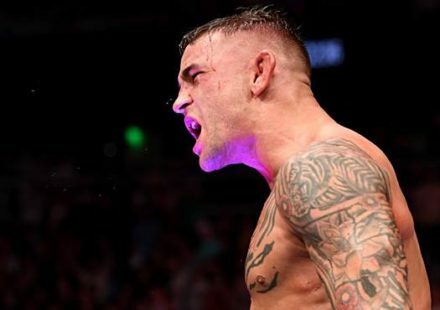 Although he blocks out the glamor that comes with an impressive performance, he knows that a win should put him on the right path towards middleweight contention.